I think we can all agree that getting a tattoo is a pretty huge commitment. Once you get one, it's part of you forever. It can be really tough to decide on placement and design when you know there's no turning back. You may love it for a week, and then get sick of it. Who knows??? So when we discovered semi-permanent tattoos that look pretty damn legit, we jumped at the prospect. 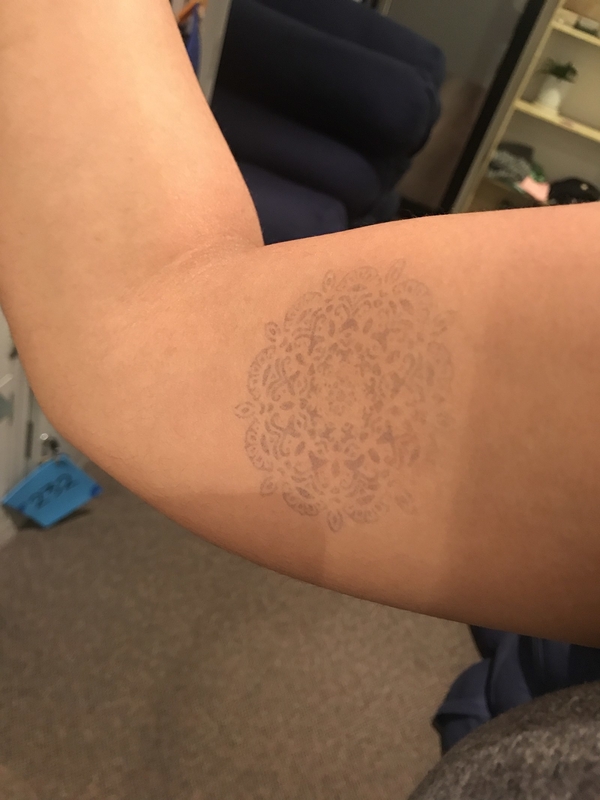 These aren't your regular temporary tattoos which wash off after two days. These bad boys literally stain your skin with ink, and are meant to last between eight and 18 days. We chose some cute designs and purchased a kit each from Inkbox. 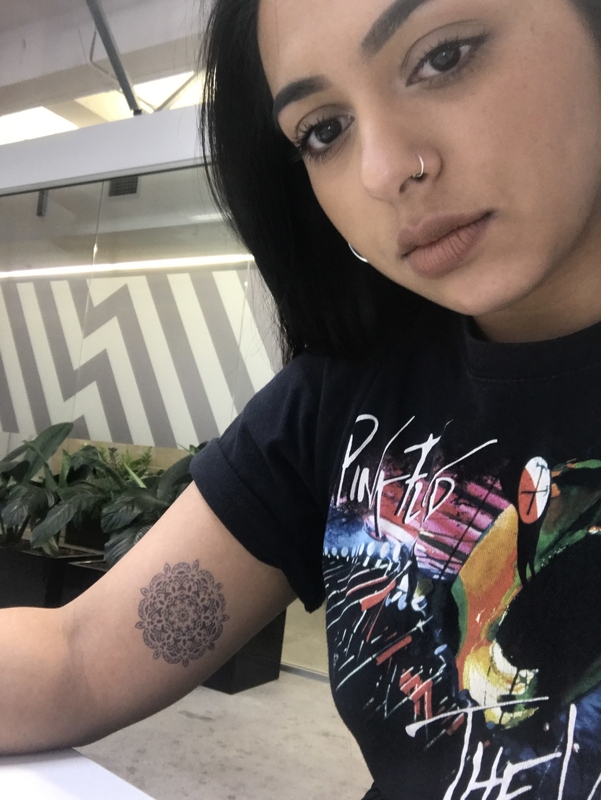 Sohan: I have been thinking of getting a tattoo on my arm, but am absolutely not ready to commit yet. I just don't know if I will be satisfied with the placement long-term! So I chose a cute circular pattern similar to something I'd want to get for real. Let's see if I still like it after two weeks! Jemima: I've been wanting to get a second tattoo for years now, but I haven't been able to decide on the placement. So I figure this is the perfect way to test one out without making a bad decision I can't come back from. 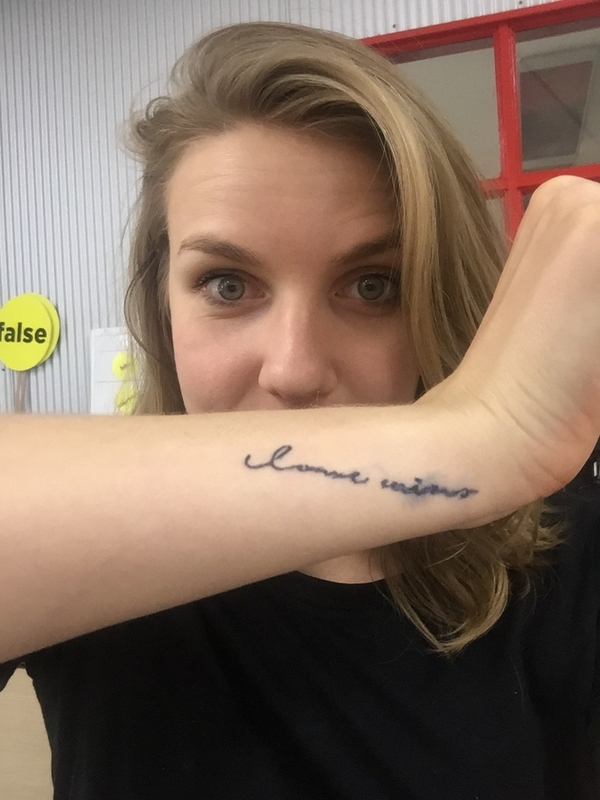 Like Sohan, I got one very similar to the real tatt I want: the word "lumos". The application process seemed complicated at first, but the instructions were actually really easy to follow. First, you peel off the adhesive and stick it onto your skin wherever you want your tattoo to be. Next, you peel off another layer and dab an an alcohol wipe (provided) onto the middle of the square, where the fabric is. They give you a glove to wear to protect your hand from the ink. Then, you use a warm cloth (also provided) to apply AS MUCH PRESSURE AS POSSIBLE for 30 seconds, then relax and hold with firm pressure for 15 minutes. It was an intense arm workout tbh. It was really faint, but this was to be expected. After 24 hours, the tattoo had fully developed. Sohan: I was really happy with how mine turned out! It seriously looked like a real tattoo. After a couple of days, the colour started to change from that typical green/black colour to a blue/black colour, which did make it seem fake. However, it was hardly noticeable - I was being extremely picky! Jemima: I liked mine in theory, but it did not look great. It was meant to say "love wins" but it smudged somehow and the "wins" was pretty illegible. I think the lines were too thin which made them very easy to smudge, though I'm not sure if it happened when I applied it or when I slept on my arm that night. Also, I put it on wonky, but that was 100% my fault. A week later, things looked a bit grim. Sohan: Okay, these were meant to last between eight and 18 days. But seven days later, you can hardly see the tattoo anymore? I was pretty disappointed. I assume it rubbed off because I wore a long sleeved top once. It's also possible the tattoo looked more faint on me because I've got darker skin. Ugh, it looked great... while it lasted. Jemima: The strength of mine lasted for about two weeks before it began to really fade. If you looked at it up close it was a little patchy but from afar it was fine! So, what were our final thoughts? Sohan: I was really excited about this concept. The design looked amazing for about four days, and I felt like a boss walking around with my tattoo on my arm. I loved how real it felt, and I think it's an effective way to test out placement and design before you get the real thing. The only downside was that it didn't last very long, and I'm unsure whether I would go to all that effort again just for the ~look~. Jemima: Mine didn't turn out great but I think that may have been my fault more than the product being faulty. 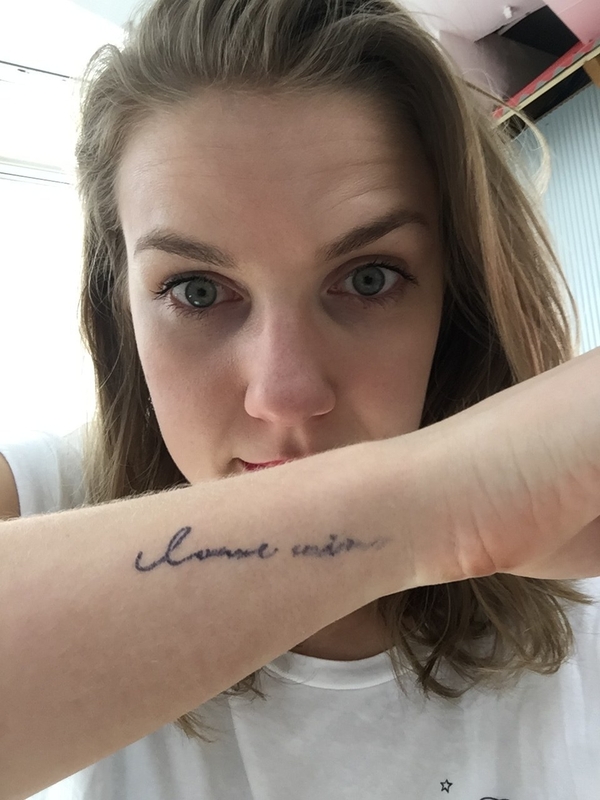 It was a good way for me to decide on placement of a real tattoo – now I'm pretty certain I'll get one on my arm. Or it'd be good if you want one for an event or something. Honestly I think I'm going to try again with a different design, maybe one with thicker lines. If you like the look of these semi-permanent tattoos, you can try them for yourself here.